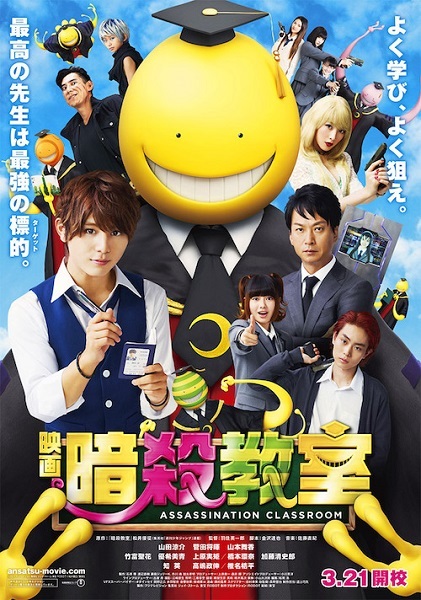 The creature then becomes the homeroom teacher of 3rd grade E class which consists of failed students including Nagisa Shiota (Ryosuke Yamada). The creature is called Teacher Koro. Meanwhile, the government requests that the students try to kill Teacher Koro even though he possesses super powers. The government offers a 10 billion yen reward for whomever successfully kills him. The students are confused by the situation, but decide to kill Teacher Koro. When their class begins with Teacher Koro, the students finds themselves having a good time with their new teacher.